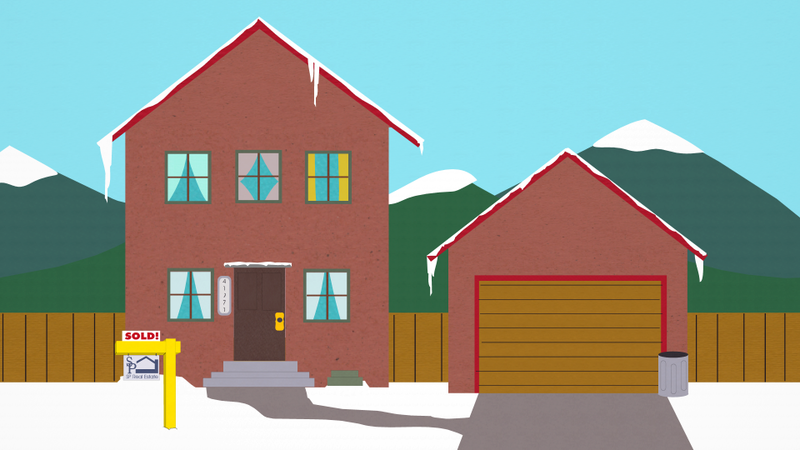 A new kid named Blanket moves to South Park with his father, Mr. Michael Jefferson. The Jefferson's property is filled with arcade games, a Neverland-like zoo, and a collection of amusement park rides. 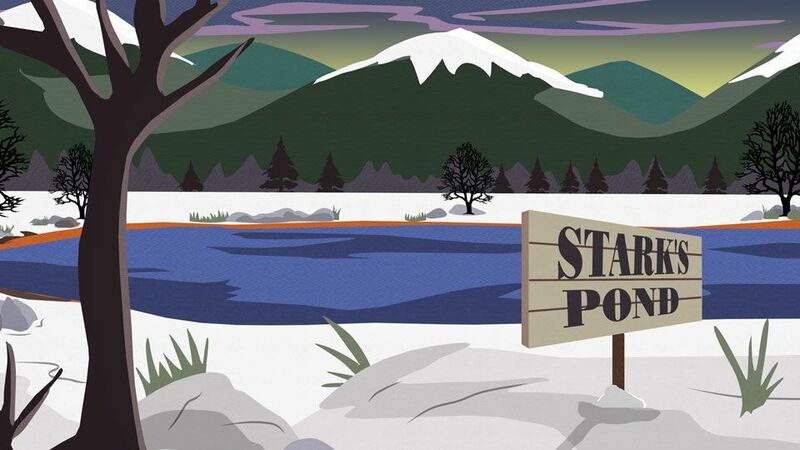 Soon, word gets out and the Jefferson's backyard is flooded with all of South Park's kids. Cartman quickly becomes enamored over how "awesome" Mr. Jefferson is; he latches onto him and calls him his new best friend. Kyle, on the other hand, becomes worried about Mr. Jefferson's careless attitude toward his own son. Especially when Blanket hurts himself and Mr. Jefferson is too busy playing "Choo Choo Train" to notice. Stan's parents eventually invite Mr. Jefferson and Blanket over for a dinner with the other boys' families. Later that evening, Stan is awakened by the sound of Mr. Jefferson (dressed as Peter Pan) knocking on his window. He's followed shortly by Cartman, who's worried that Stan is trying to bogart his new friend. And then Kyle turns up with Blanket, whom he found wandering around in his backyard. The boys and Mr. Jefferson all spend the night together in the same bed, where they are discovered the next morning by Stan's parents, who are obviously horrified. The parents ban the boys from ever visiting Mr. Jefferson's house again. 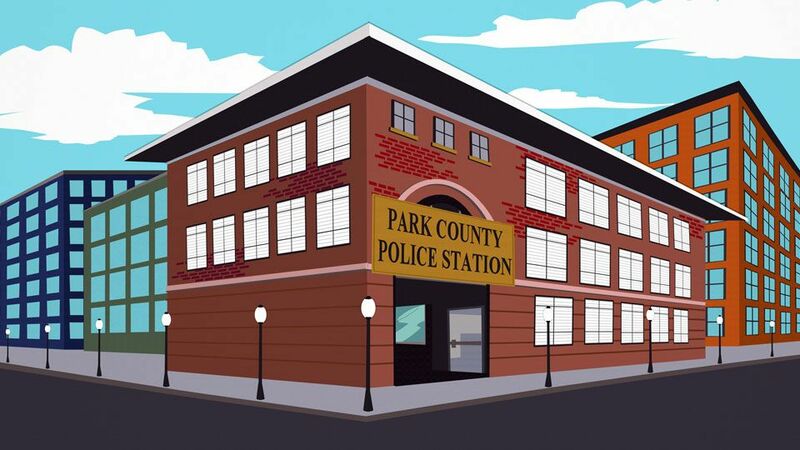 Meanwhile, the Park County Police are hard at work figuring out a way to frame Mr. Jefferson for a crime -- just as they do to all wealthy black men who fall within their jurisdiction. They take advantage of Mr. Jefferson's sleepover at the Marsh household to plant cocaine, pubic hairs, and blood spatter in Jefferson's home. But when he and Blanket finally return, the police abort their arrest because they think Jefferson is white. Mr. Jefferson is convinced that the adults are out to get him, and confines a near-terrified Blanket to his house. Jefferson tries to cheer him up by playing a game of "got your nose," but when Blanket takes a turn, he actually does pull off his father's nose. While Mr. Jefferson calls a plastic surgeon for help with his face, Kyle and Stan attempt to rescue Blanket by climbing up to his room and replacing him with a disguised (and parka-less) Kenny. But Jefferson -- now a hideous, zombie-like creature -- catches them mid-act and chases them into Blanket's room. Mistaking Kenny for his son, he tosses him into the air and smashes his brains out on the ceiling. The boys escape just as the police arrive to arrest Jefferson (after a lot of dedicated field work, they now have proof that Jefferson is black and worthy of being framed). Kyle scolds Mr. Jefferson, saying that since he has a kid, he can't act like a kid himself. He seems to absorb the lesson and vows to give up his money and live a normal life with his son. Since Jefferson's now just a regular, poor black man, the police lose interest and let him go. As Sergeant Yates notes, there's "no point in putting another poor black man in jail." "I've been so obsessed with my childhood that I've forgotten about his. I thought having lots of rides and toys was enough, but Blanket doesn't need a playmate. He needs a father and a normal life." Kenny, sort of. For the first time since Bigger, Longer & Uncut, he's seen both without his hood and speaking with a non-muffled voice. In the movie his voice was provided by Mike Judge, but in this episode, Eric Stough did the honors. In addition to Sergeant Yates (whom we met briefly in "Christian Rock Hard"), we meet the rest of his team at the Park County Police Station: Detective Harris, Detective Murphy, Detective Johnson, and Detective Frakes. We also meet Maggie, Sergeant Yate's Scottish wife. Kenny. He gets his brains smashed into the ceiling by a playtime-crazed Mr. Jefferson. If you're keeping track, this is only the second time he's been killed since returning to life in Season 6's "Red Sleigh Down" . Mr. Jefferson croons boyishly with "Wishing Tree" and "Ride The Train." He also closes the episode with his big pop ballad "The Power to Change." Trey and Matt resisted doing a Michael Jackson show because he's such an easy target. But the concept found its focus when they made the story about his son, Blanket. The episode's title is of course a reference to the old TV series The Jeffersons. At the dinner table, the parents all briefly discuss basketball star Kobe Bryant, saying: "You think he was guilty or innocent?" They are referring to his sexual assault case, which at the time this aired, was all over the news. There's also a nod to the O.J. Simpson murder trial, with Sgt. Yates exclaiming: "Do you know how hard those cops worked to frame him?!" Mr. Jefferson shows up at Stan's house dressed as the classic children's character Peter Pan, singing "Look at me, I'm Peter Pan! I'm a little boy forever!" Michael Jackson, though he's never referred to as anything but "Mr. Jefferson" during the entire episode. At one point Blanket slips up and almost uses his real name, only to be corrected at the last moment by his father. Also, Blanket (aka Prince Michael Jackson II) is the actual name of Jackson's youngest child, born in 2002. This episode features the infamous scene in which Cartman and Mr. Jefferson kiss, although it seems to be just a nightmare in Stan's head. We learn Seargent Yates' first name is "Harrison." The scene where Mr. Jefferson dangles Blanket precariously out of his second story window is a nod to the real life instance (caught on tape) in which Michael Jackson did the same thing to his young son.